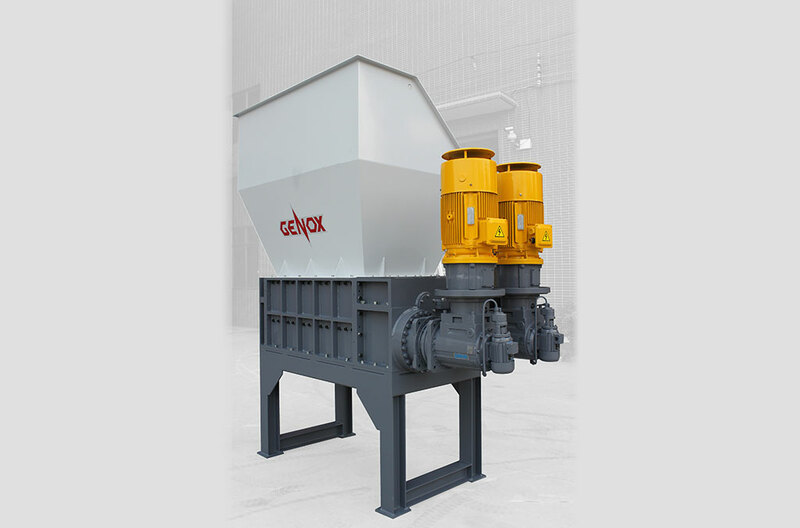 © 2018 GENOX RECYCLING TECH CO., LTD. All Rights Reserved. 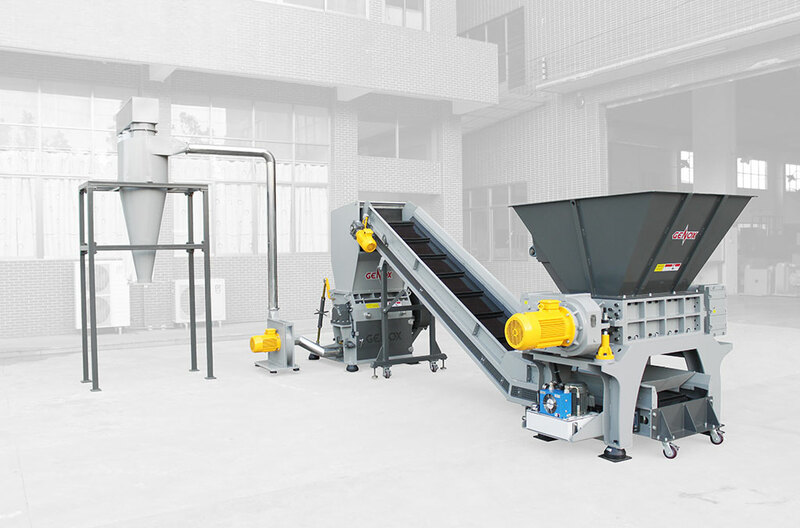 Plastics –Mixing Plastics, Plastic Drums or Containers, etc. Electronic Scrap – WEEE Directive Materials. Tires – Car Tires, Debeaded Truck Tires. Packaging Materials – Cardboard etc. Metals – Lead, Aluminum, Copper etc. 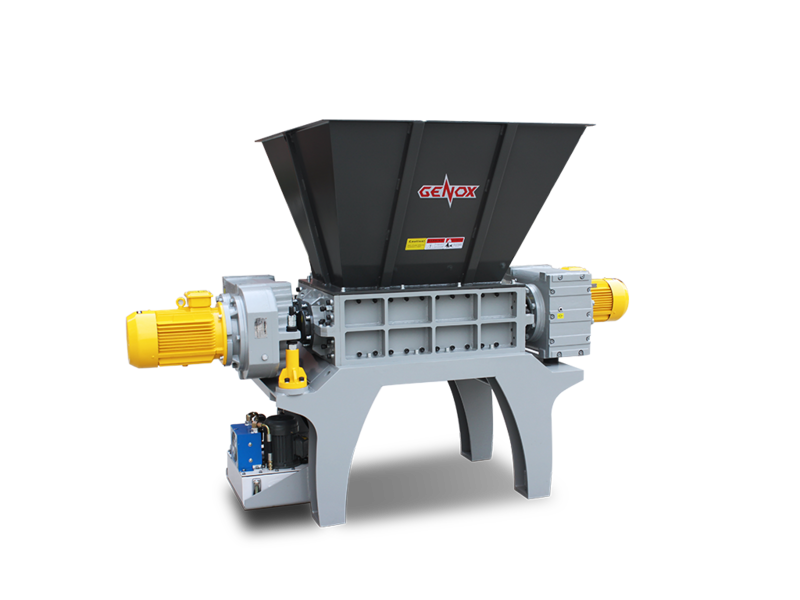 Low speed, high torque operation minimizes noise and power consumption – whilst achieving high throughput rates. 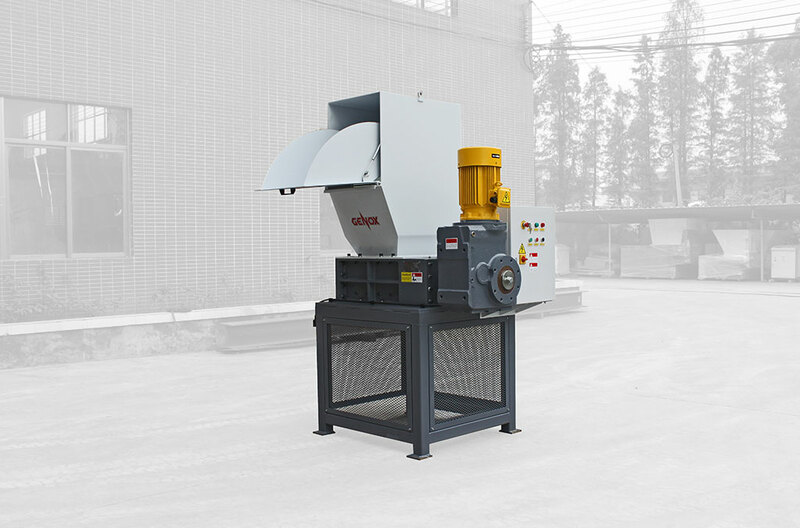 These machines are particularly suited to the size reduction of bulky or voluminous materials which could include contamination such as metals or stones. 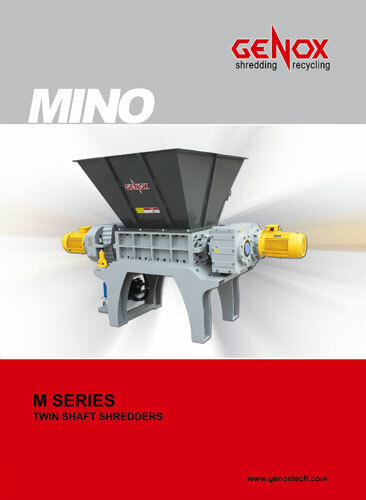 Slow Speed High Torque Shredding Principle. Low Dust and Low Noise Operation. 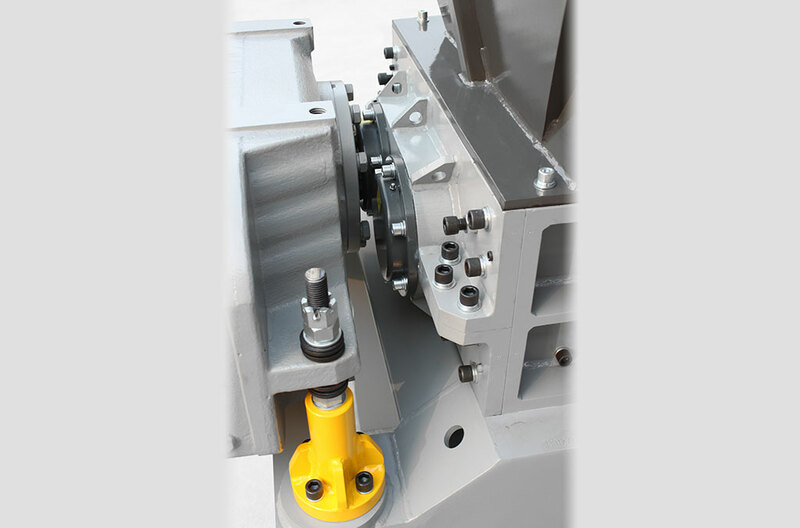 Shock Absorbing Gearbox Mounting Arrangement reduces Stress on Drive Components. 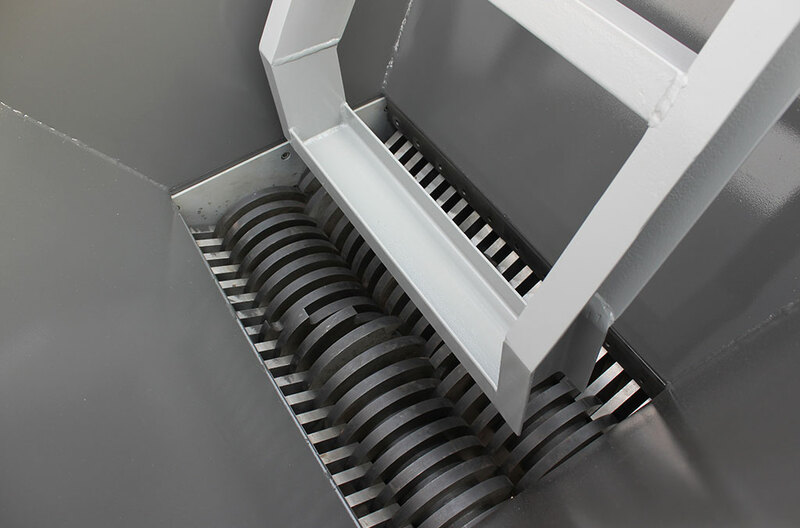 Strong Blades manufactured from high quality steels are suitable for shredding tough materials. 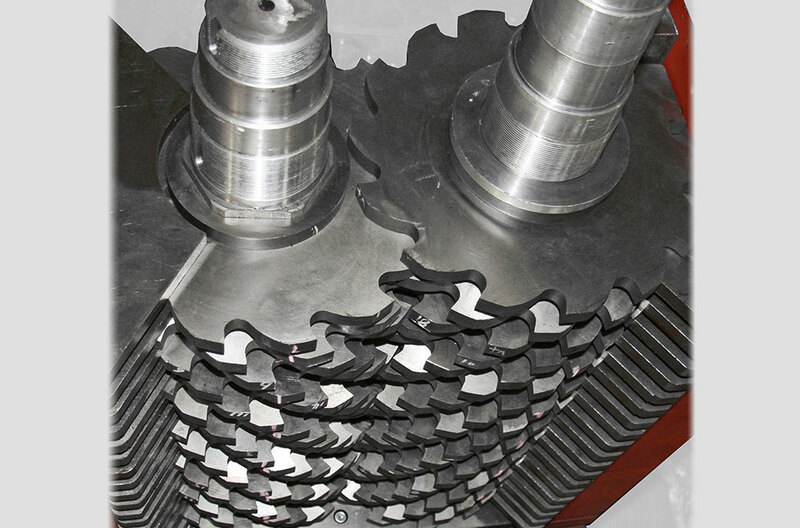 Two Piece Split Bearing Housing Arrangement enables quick access to bearings and rotor. Advanced Adjustable Sealing System prevents product migration and ensures long bearing service life. Stand Alone Electrical Control Panel with Siemens PLC Control System. Tested, Approved and Certified to the applicable CE safety standards.